Astonishing artwork inspired by The Empire Strikes Back. 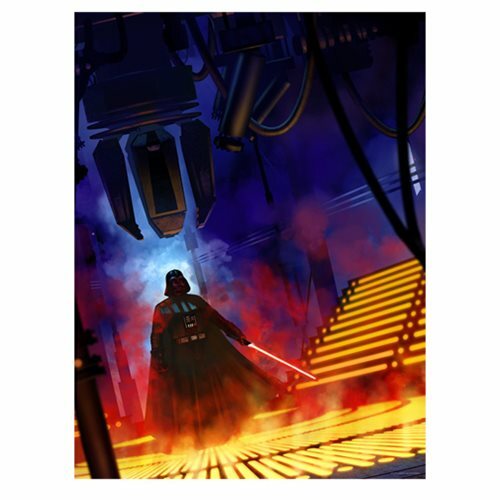 The Dark Lord is headed your way in this astonishing Star Wars Lurking Lineage by Jeremy Saliba Lithograph Art Print. Lurking Lineage by Jeremy Saliba features artwork inspired by The Empire Strikes Back. An unframed limited edition of only 395 hand-numbered pieces, it measures 24-inches tall x 18-inches wide. Each lithograph print comes with a certificate of authenticity.